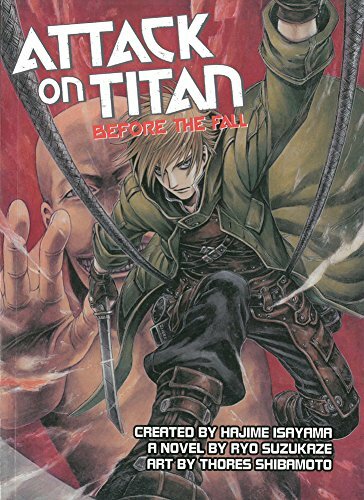 The first volume of Attack on Titan: Before the Fall has recently been released by Vertical Publishing. It is available in paperback, and appears to be downloadable for Nook as well. You can purchase the book from online retailers such as Amazon, Barnes and Noble, or Book Depository. The first of the three-part Before the Fall light novels, whose second and third installments have been adapted into a manga of the same name (available stateside from Kodansha Comics), this prequel of prequels details the origins of the devices that humanity developed to take on the mysterious Titans. In addition to penning the first Attack on Titan novels, author Suzukaze is known for his official prose treatments of the Shin Megami Tensei, .hack//, and Idolmaster franchises. Shibamoto has illustrated various works of fiction including Trinity Blood.